Any other photo addicts in the house? Go ahead, no need to be shy–you’re in good company here! I LOVE my photos in a big way. While I’m slowly wrapping my head around this new digital age (I have started making photo albums online! No more printing–HUGE STEP! ), I do tend to drag my feet in embracing the new, as I often find it excessively tricky. But with Amazon Fire TV, no more fuss. We have Alexa, and I use it often. Now I have the neat benefit of being able to see photos and play a slideshow of your albums on Amazon Fire TV by just asking Alexa. How cool! Pair up this nifty technology with your Prime membership, which includes unlimited photo storage with Prime Photos and 5 GB digital storage for videos and files, and you are set, friends. No Prime membership (rethink this, seriously–I often wonder how I’d function sans Prime!)? You still get a cool benefit–all US Amazon customers receive 5 GB free digital storage for photos, videos, and files. What is the Prime Photos voice launch on Amazon Fire TV all about? as long as you live in the United States, you can enjoy this benefit. With this service, you can now chill on your couch and flip through your photos and personal videos on the biggest screen in your home using your Alexa Voice Remote. Sweet! Prime Photos helps keep your photos right at your fingertips, wherever you are. Keep your photos safe while you free up space on your devices when you store your photos online. What is all this buzz about Echo Show? Like Amazon Fire TV, the Echo Show can showcase all the photos in your Prime Photos account, with voice commands like, “Alexa, show my photos.” In fact, all the same commands work with Echo Show – just add “Alexa” to the beginning of each one. Check out the whole scoop at Prime Photos Voice. Excited about the new Prime Photos options? Celebrate by winning! 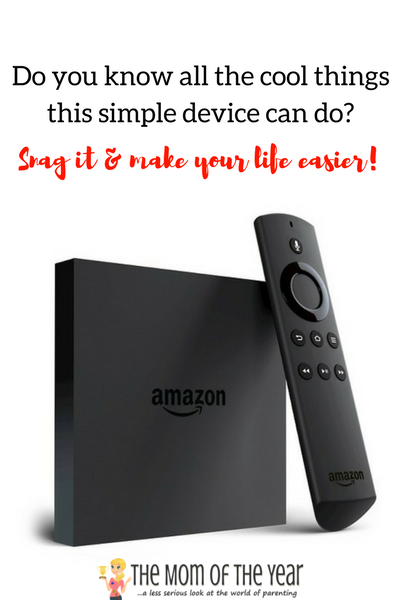 The new campaign from Amazon Fire TV offers a chance for YOU to win the 1st prize of a $500 Amazon gift card, or one of five $100 Amazon gift card 2nd prizes! Enter for a chance to win a $500 Amazon.com Gift Card, or one of five $100 Amazon.com Gift Cards. See terms and conditions here. Now that you are in the know about Prime Photos on Amazon Fire TV and Echo Show, make haste, friends–the new age of simplicity is here! No longer must we sink countless hours into sorting the pics we’ve snapped. With a few simple voice commands, we are free to cherish and share the special moments of our lives. Enjoy! Oh good! Thanks for entering–win and then you will fully have your photo game on, friend! We have both Fire TV & Prime Photos – LOVE BOTH! !